aerobd.news : Following months of speculation, the UK government announced on October 25 that it would support the construction of a new runway at London Heathrow Airport. The scheme will now be taken forward in the form of a draft national policy statement (NPS), which will be released for public viewing in early 2017. The NPS will then be used to move forward with the public consultation process, before a vote is held in the House of Commons in late 2017. Depending on the outcome, the airport will then need to submit a planning application to the planning inspector, who will advise the government on the department’s decision. The secretary of state for transport, currently Chris Grayling, will provide final sign off before construction work can finally begin. 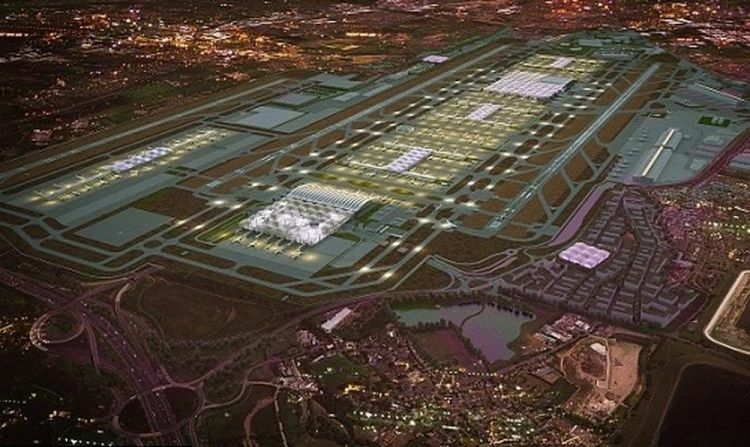 The government has said that a new runway at Heathrow Airport will bring economic benefits to passengers and the wider economy worth up to £61bn (US$74bn). Up to 77,000 additional local jobs are expected to be created over the next 14 years and the airport has committed to create 5,000 new apprenticeships over the same period. Grayling said, “The step that government is taking today is truly momentous. I am proud that after years of discussion and delay this government is taking decisive action to secure the UK’s place in the global aviation market – securing jobs and business opportunities for the next decade and beyond. “A new runway at Heathrow will improve connectivity in the UK itself and crucially boost our connections with the rest of the world, supporting exports, trade and job opportunities. This isn’t just a great deal for business, it’s a great deal for passengers who will also benefit from access to more airlines, destinations and flights.